CJ Anderson reveals his favorite team to beat. Emmanuel Sanders takes a guess at who will step up to lead the team after Manning's retirement. Bradley Roby talks about how it feels to be with the "No Fly Zone." Fan appreciates hearing from the Denver Broncos. 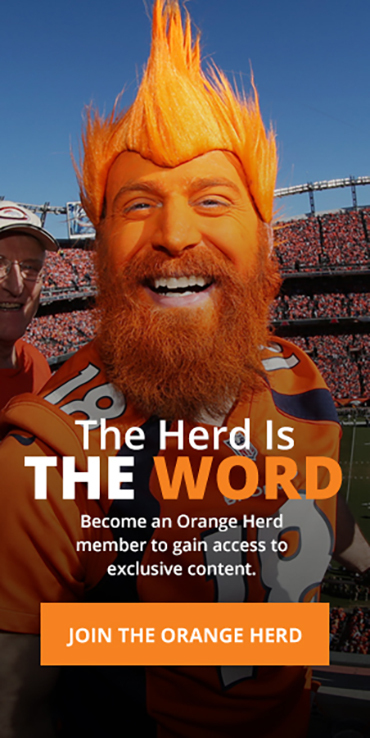 The World Champion Denver Broncos hosted this exclusive event for season ticket holders and Orange Herd members. The call featured Broncos Running Back CJ Anderson, Wide Receiver Emmanuel Sanders, and Cornerback Bradley Roby. Callers asked players about the recent draft picks and the upcoming season. The Denver Broncos have been enjoying Championship celebrations and are still looking forward to the ceremony at the White House. There were many questions about the future leadership and team dynamic after the retirement of Peyton Manning. The Broncos are excited about the 2016 season and are very optimistic about repeating a Super Bowl win.